Children get excited when they see a tractor on the road. We can always tell it’s harvest time when we see tractors everywhere. My children are obsessed with tractors and love to watch them in the field. 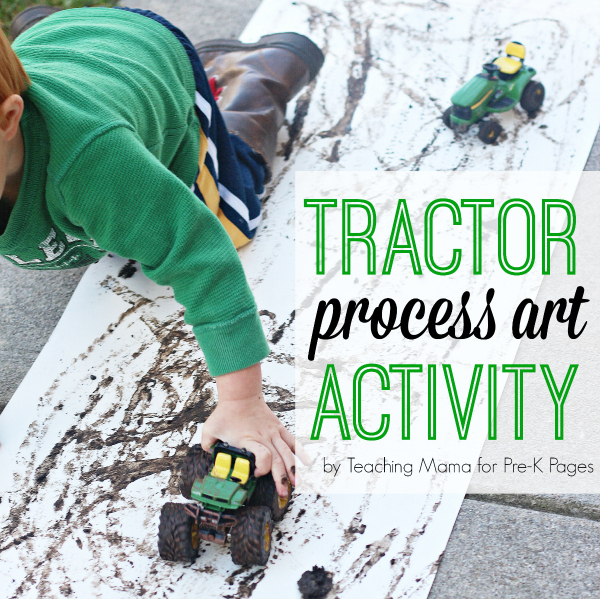 Since they love tractors so much, I decided to create a process art activity project with tractors for them. 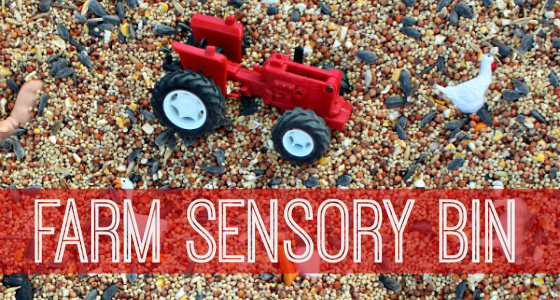 This tractor art project was a huge hit with my boys and kept them busy for a long time. This is a process art project, meaning the focus is on the process of creating art rather than an end product. 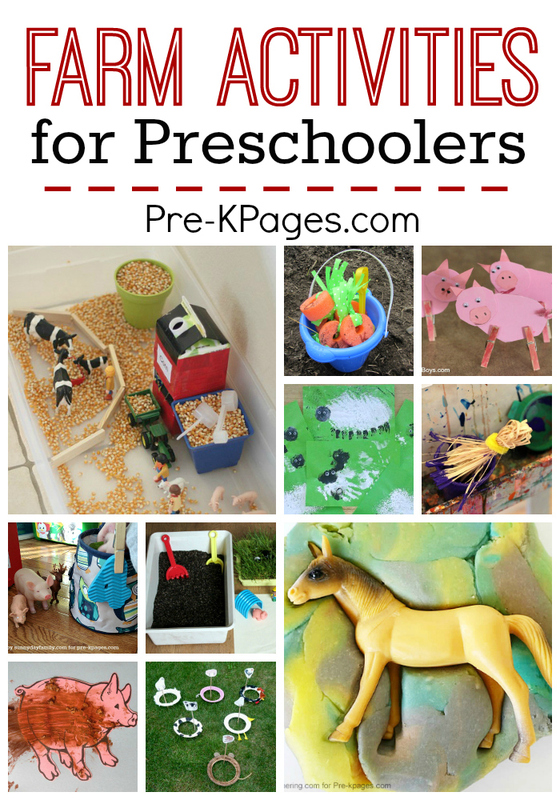 This type of art is perfect for preschoolers. It allows them to be creative without worrying if they made their project the correct way. For this project, children will use mud paint. 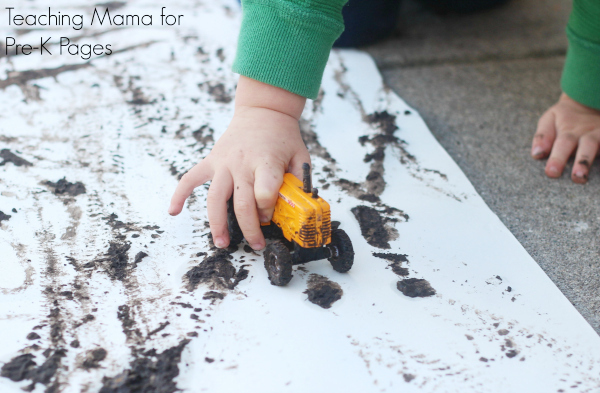 We used mud paint because it looks like tractor tracks. You can also use tempera paint, if you want to create a more colorful look. 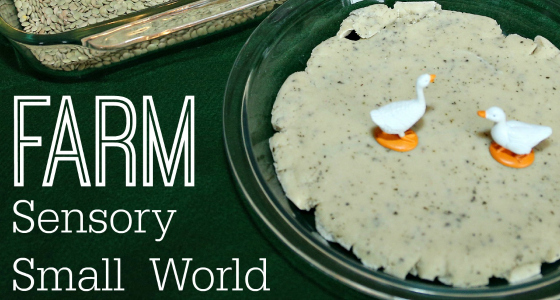 To do this art project activity, you’ll need to make some mud paint. 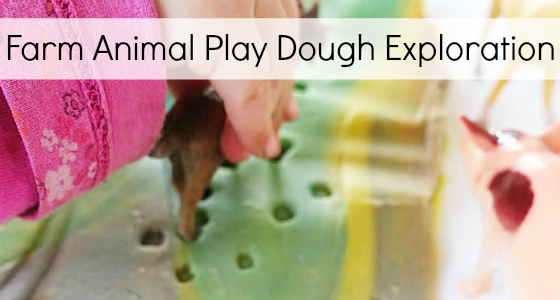 This is actually a fun activity for kids to do with you! Start by scooping mud into a large container. 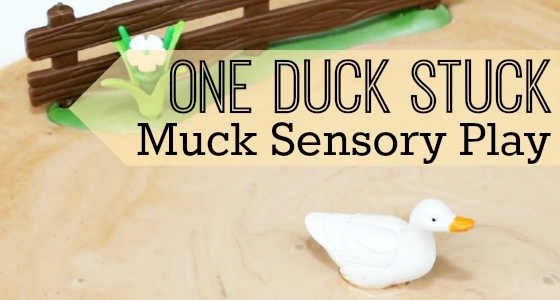 Then stir in a few drops of dish soap to the mud. This helps the mud spread out more easily. Lastly, add some water to the mud to thin it out, so it looks like soup. 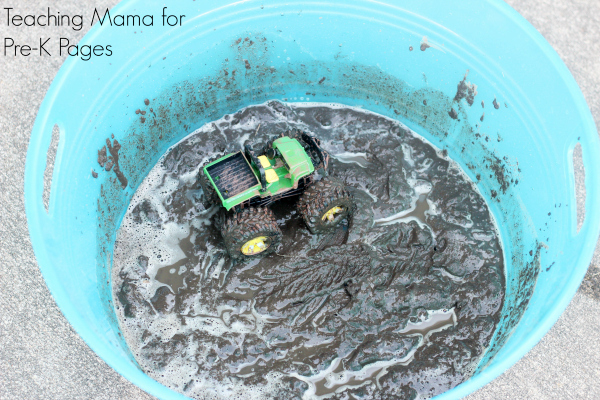 Make enough mud paint to fill your container about 1-2 inches deep. 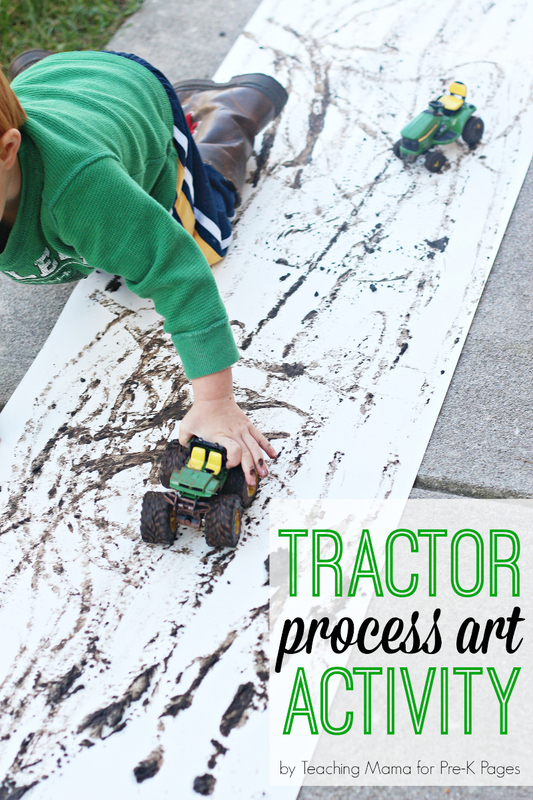 After your paint is made, invite kids to dip the toy tractor wheels into the paint and roll them across the paper. 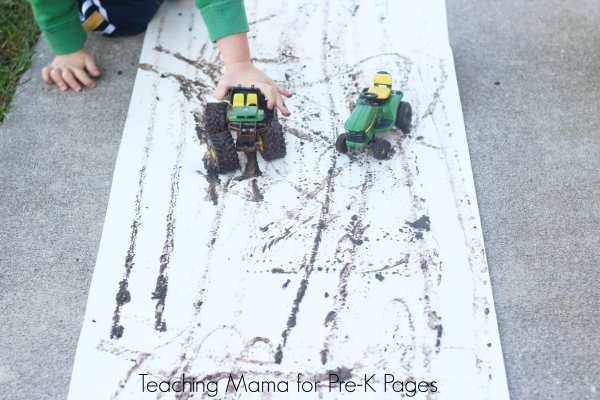 Have fun making art with the mud paint and tractors. It’s very simple and lots of fun for kids. It is a good idea to do this activity outside for easy cleanup. You can do this process art activity on a large piece of paper with several kids or give each child a small piece of paper. While creating art, talk about the lines and tracks the children see on the paper. 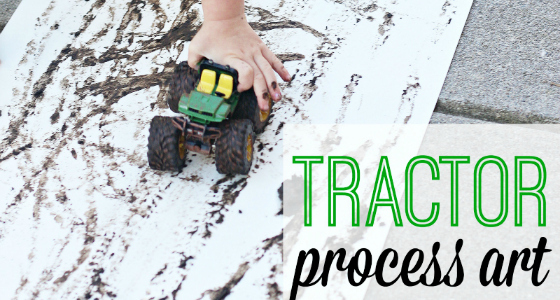 Even though it looks like mud, it really is a great process art activity for kids! I hope your children enjoy it as much as mine did! 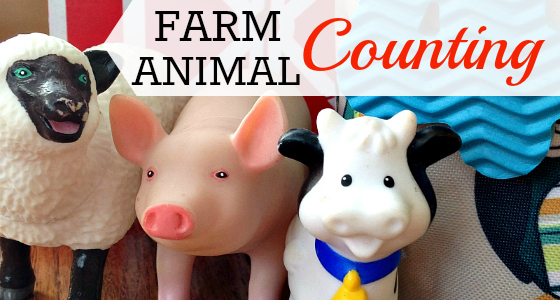 Read a book about tractors to build background knowledge and allow your kids to ask questions about tractors before introducing this activity, Duck on a Tractor by David Shannon is always a huge hit with kids. 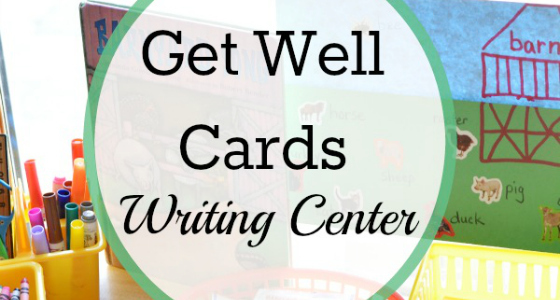 BIO: Angela is the writer and creator at Teaching Mama, where she shares hands-on learning activities for babies, toddlers, and preschoolers. She is a former teacher, turned stay-at-home-mom to 3 wonderful boys. One of her favorite ways to teach the alphabet, is through her alphabet letter formation rhymes! You can connect with her on Facebook, Pinterest, or Instagram.